Trading terms can be mind-boggling, that's why we are going to explain them in this article. If you are a beginner, then you are in the right place. Trading terms can be mind-boggling to non-traders or people that just want to start trading. This article is dedicated to explaining what those terms mean. Altcoin – Alternative Coin. Bitcoin is a coin and other cryptocurrencies are Altcoins. FIAT – Money issued by governs (USD, EUR, GBP). Leverage Trading – Trading with borrowed assets, resulting in a higher profit. It’s very risky because you can lose your money. For example, one has $100 and wants to trade with 100% leverage($200 in total). If the asset goes down by 50%, he will lose his $100. If it wasn’t a leveraged trade, he would still have $50 worth of assets left. In conclusion, the higher the leverage, the riskier it gets. Margin Trading – Asset borrowing account on an exchange. One is allowed to trade with more value than he can buy. It works like a debt. If one has $ 100, he will be able to trade with $1000 worth of assets as an example. It depends on the leverage amount(the higher the leverage, the higher the risk). Market Order(buy and sell) – Instant purchase of assets at the current market price. Limit Order(buy and sell) – Instant sell of assets at the chosen price. Stop Limits – An order will be executed if a certain price is met. HODL – It means not to sell an asset. Sell Wall – Is an Indicator of the exchanges that shows whether the buyers or sellers are currently in control. Trend – A direction in which a market is going. Trend reversal – A shift in the market direction(sentiment). FUD – Fear, Uncertainty and Doubt. The feeling of the market, people selling. It can be due to bad news. ATH – All-Time High. It means the highest price an asset has ever reached(usually due to the bull runs). ATL – All-Time Low. It means the opposite of ATH, the lowest price an asset has ever reached(usually due to the bear runs, or when an asset is new on the market). The Bottom – Is the lowest price reached after a correction. Usually looks like a V shape. Swing High – Is a Higher high than the previous one, in a downtrend. In a downtrend, it would be a lower high. Swing Low – Higher Low than the previous one, in an uptrend. In a downtred, it would be a lower low. 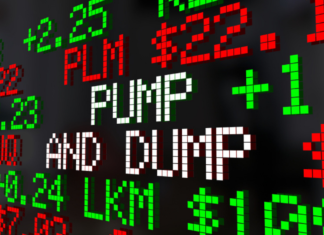 Pump – Someone buying large amounts of an asset, resulting in a price increase. The pumps can be long term positions either reaction to news or bull traps. Dump – Someone selling large amounts of an asset, resulting in a price decrease. Whales – Someone holding enough assets to impact the markets. Bag Holder – Someone that owns a significant amount of a specific asset bought at a low price. A Shill/Shiller – Is someone that is promoting an asset. It’s not necessarily a bad thing but usually occurs as a bad thing in chats. One should not listen to shillers and do their own due diligence instead. Moon – “We are going to the moon” is often used when a significant price increase will occur. Correction – A price decrease after a strong move. Consolidation – A flat area in which the price is moving in a certain range before deciding for the next move. Dip – A decrease in price. “Buy the dip or the discount ” often used after a bottom or dump has occurred. Bear – Someone that believes the price will go down. Bull – Someone that believes the price will go up. Bear market – These are periods in markets when there is not much price activity beyond certain levels and with the potential of setting new lows. It happens after a big correction and it means that there is no confidence in a market. Bull market – The confidence in a market is restored after a big correction had occurred. It means that the bottom has been reached and the price will recover. Possibly setting new ATHs. Dead Cat Bounces – It’s when a market recovers for a short period after a fall before falling again. Going Short – It means that one believes a market will lose values and he/she will sell. Going Long – It means that one believes a market will gain value and he/she buy. Support – An area where the price will be stable for a period of time. Resistance – An area where the price may find difficult to get past. Stable coin – A coin that is not affected by Inflation or Deflation. It will stay at the same price. Pattern – Harmonics, Triangles, Wedges, Etc. Basically, when similar patterns/shapes occur, the market reacts to them. They can be bullish or bearish. Bullish Engulfing/Hammer/Shooting Star – It’s a candle pattern, that has a big wick. It looks like a hammer pointed upwards, and it can be a pretty strong indicator to buy. Bearish Engulfing/Hammer/Shooting Star – It’s the same as a bullish hammer, but it’s upside down and it indicates a move down. Doji Candle – Is a candle with wicks on both sides and it indicates indecision in a market. Arbitrage Trading — Basically, buying at a cheaper price from an exchange and selling at a bigger price on others. Tend Lines – Lines that are drawn in the direction of the trend by connecting as many wicks and candles a possible. Channel – Two trend lines that are drawn above and below the current candle. Flow/trend – It will result in something that looks like a channel. MA – Moving Average or Simple MA. It’s an indicator that shows a trend on the chart by calculating the price data. If the price falls below a short period (9) MA, it could be a bearish sign, for example. If a short period (9) MA crosses a higher period (20)MA, that could be a bull sign. The timelines should be taken into consideration. EMA – Exponential Moving Average. It’s a very similar indicator to the MA indicator, but more sensitive. The calculations are tighter, resulting in closer to the candles MA line. MACD – Moving Average Convergence Divergence. It can be calculated by subtracting the 26-period MA form the 12- period MA. The result of that calculation will make a line on the indicator(MA) that works in convergence/divergence with a 9 MA line. It’s an indicator that gives signals when it’s the time to sell or buy(usually on crossovers). It can also indicate when an asset is oversold or overbought. RSI – Relative Strength Index. This is a momentum indicator displayed as an oscillator graph that moves between two extremes (it measures the magnitude of recent price changes to evaluate overbought or oversold conditions). The RSI indicator works hand in hand with the MACD indicator to. Indicator Divergence – The chart may look a bit different than how it looks on the indicator. RSI divergence can show us whether the bulls or bears are in control, for example. Volume – The amount of an asset getting traded. Volatility – Price swings, big volume. Bolinger Bands – An indicator that shows the volatility in a market. 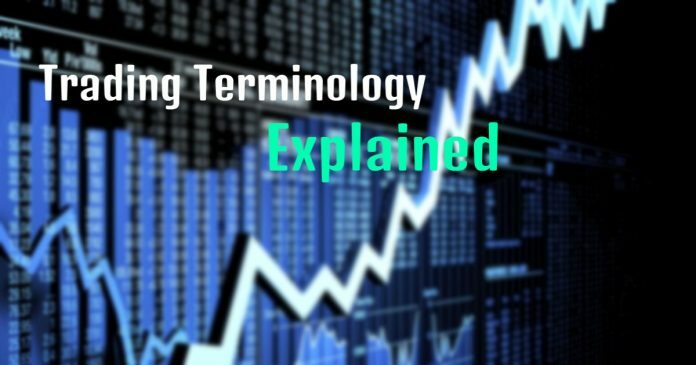 The terms mentioned above can be used in Forex Trading, Stocks and Crypto markets. Previous articleElon Musk Joins In Anti-Craig Wright Rally. What’s His Safe Word? 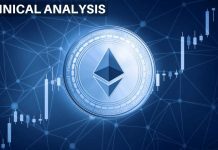 I am a writer and a technical analyst at Altcoin Buzz. I like writing about anything, it's a way for me to have fun and gain new knowledge, which I can share with others. Same with the technical analysis, I enjoy finding patterns and knowing in which direction a market may be going.